There are four things that Belfast is famous for, our tour guide tells us. Firstly, that big ship that made it out of the city ‘just fine’, the HBO TV show, Game of Thrones, a ‘colourful’ political past called ‘The Troubles’ and a world-renowned celebrity footballer (Now deceased). Luckily for us visitors, you can actually experience each of these four pulls to Northern Ireland’s capital through Belfast tours. 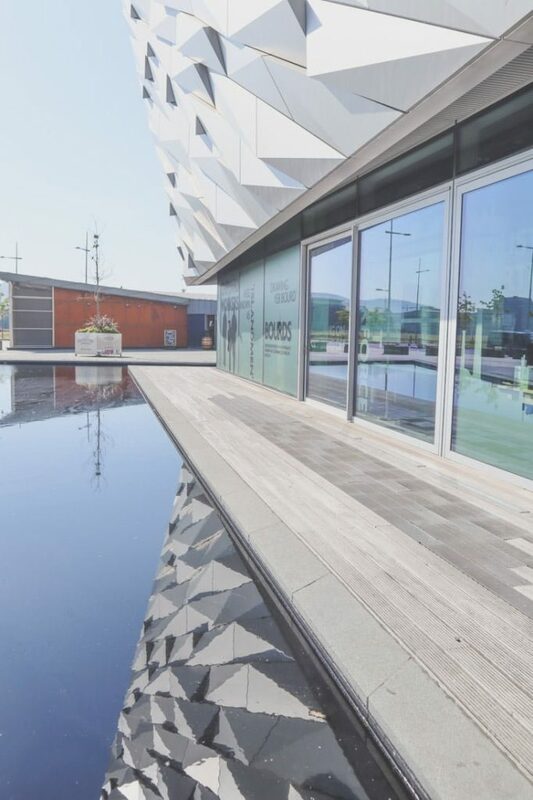 While the Titanic ship herself is not in Belfast obviously, her story is told over the nine floors of the impressive £100 million Titanic Belfast and the SS Nomadic Belfast, which carried the first and second-class passengers to the Titanic. Game of Thrones tours led by Wildlings, Starks and Boltons leave every day to a variety of GOT filming locations. 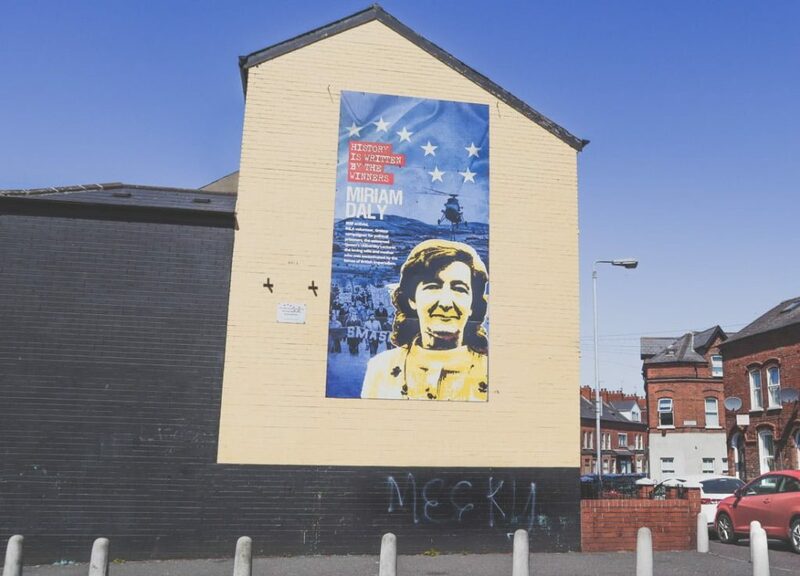 Black Cab Tours of the political murals are one of the most popular things to do in Belfast and finally, fans can rent out George Best’s childhood home or can soon stay at the Signature’s George Best themed hotel! Belfast is a small city which is easy to navigate. All of the top attractions are less than 20 minutes away from the city centre by foot. The city is split into five main areas: the City Centre Cathedral Quarter (bars/restaurants), Titanic Quarter in the East (museum and SS Nomadic Belfast), Queens Quarter in the South (Botanic Avenue is a great street for food/coffee), the Gaeltacht (Irish) Quarter in the West and the area of the North (Belfast Castle). Buses and taxis run in Belfast. Tour Belfast by bike! There is a city bike scheme. Casual subscriptions cost £6 but the first 30 minutes are then free. Unlike Newcastle’s bikes, you have to dock at a bike station but there are 40 docks around the city. 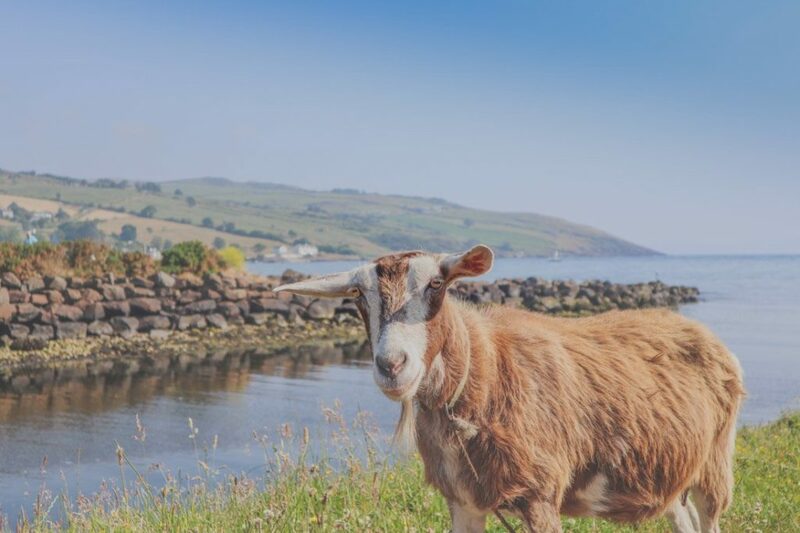 There are six counties in Northern Ireland and it never takes more than 90 minutes to get between towns so if you have time to get out of Belfast, hire a car or take a tour to see what else the country has to offer. Residents all speak English, some speak Gaelic too and many of the street signs are written in both. The British pound (GBP) is the main currency (Euros are accepted in the Titanic Belfast). ATMs are widely available, and most restaurants, bars, tours and hotels accept credit cards. 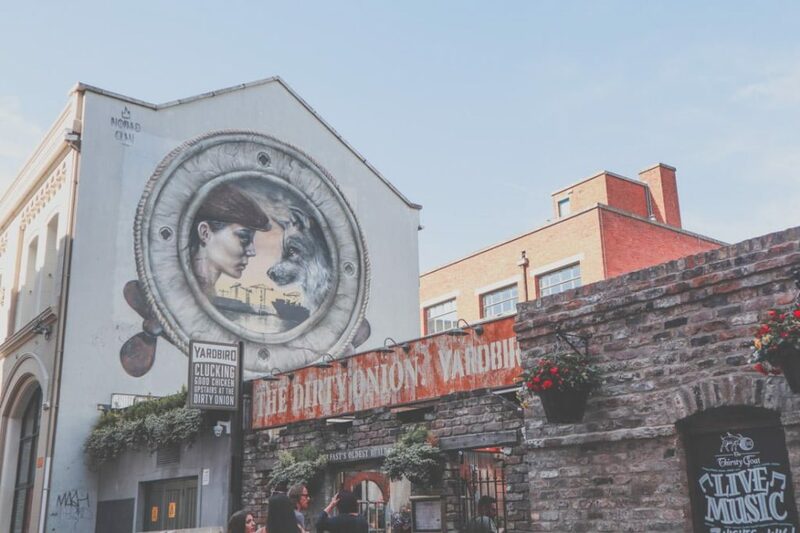 So now that we have our bearings for this fun city let’s take a look at the best tours in Belfast. What would you do if you came face to face with a Wildling? Laugh, honestly the tour guides on the Game of Thrones tours are hilarious. 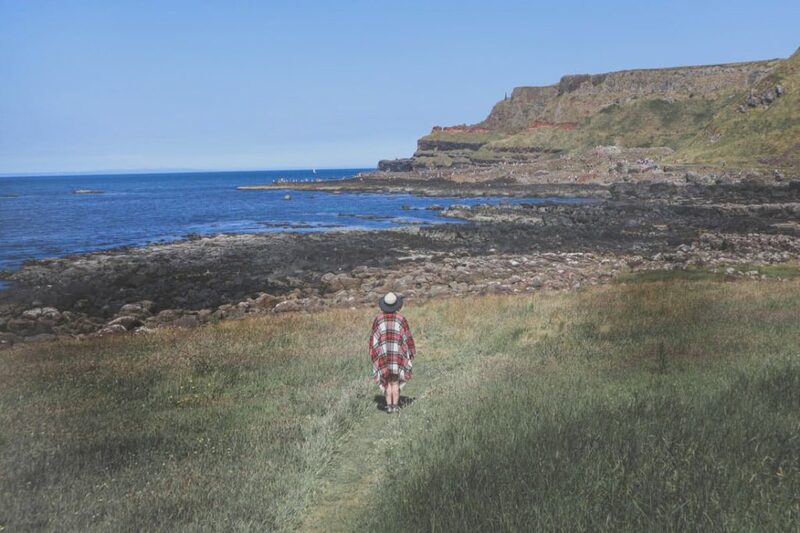 This day trip from Belfast takes you to the variety of filming locations around the country, it’s a great way to get out to the countryside while geeking out on GOT talk. There are a few companies that offer GOT tours but only one where the guides are indeed extras on the show! We had the pleasure of spending the day with Richard (redhead, long hair, longer beard!). His love for the show is so apparent making the tour one of the best things to do in Belfast. 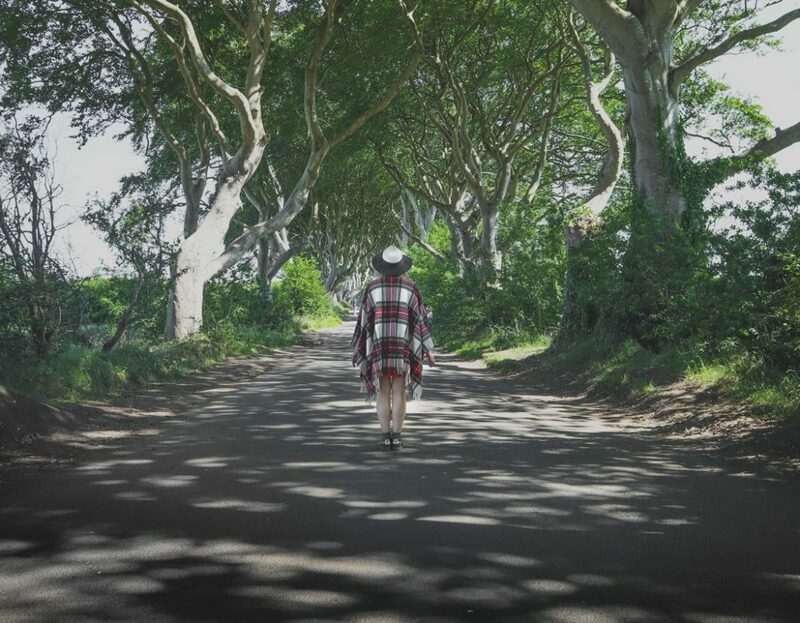 Our tour took us to Cushendun Caves where Melisandre gave birth to that ‘black thing’, we walked in the footsteps of Arya Stark at the Dark Hedges and dressed up as the Iron Born, with swords! 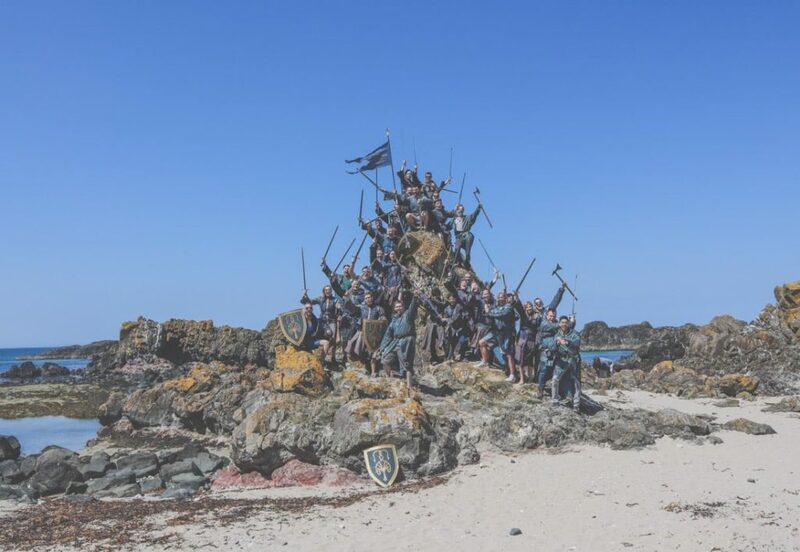 Richard gave us insight into how the scenes are filmed and the rundown of a day in the life of a Game of Thrones extra, horse sh*t makeup and all. Warning, the tour guide language is saltier than the sea air! 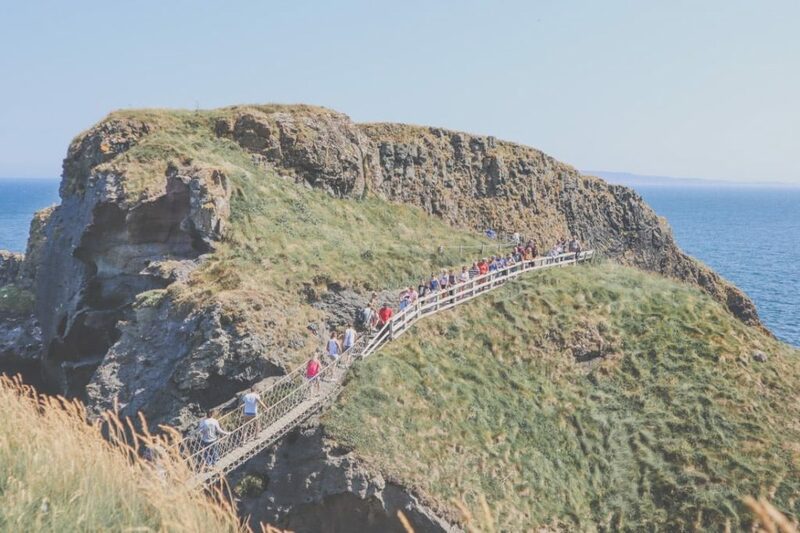 The tour also covers a few beauty tourist spots such as the famous Giants Causeway (50 million-year-old basalt columns, smaller than I thought as I had Kilt Rock in Skye in my head) and Carrick-a-Rede Rope Bridge, which is not for the fainthearted! Note: food/drink is not allowed on the bus but there are comfort stops and a lunch break. Tours: three different location tours run daily. You don’t need to refresh your memory, scenes are played before you arrive at each location. Northern Ireland’s top attractions including the country’s first World Heritage Site. The luxurious bus stops at Giant’s Causeway, Carrick-a-Rede Rope Bridge, Old Bushmills Distillery, and Carrickfergus and Dunluce castles. The Causeway Coastal Route is one of the world’s most spectacular drives, escape the city and be wowed by the scenery. There’s one bus company that stands out in Belfast and it’s painted green! Paddywagon’s seven-hour tour to Northern Ireland’s hot spots has been awarded the Get Your Guide gold star rated for consistent positive reviews. 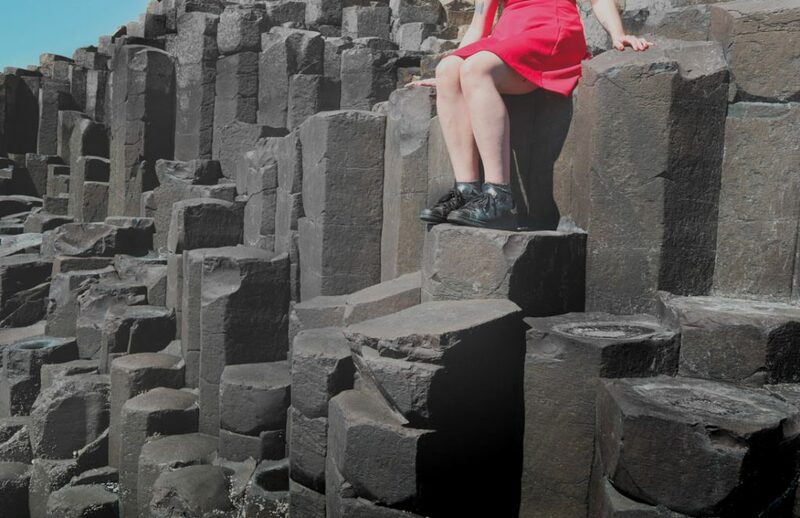 This tour also takes you to the eighth wonder of the world, the Giant’s Causeway. This tour of Belfast was the main reason I wanted to visit. 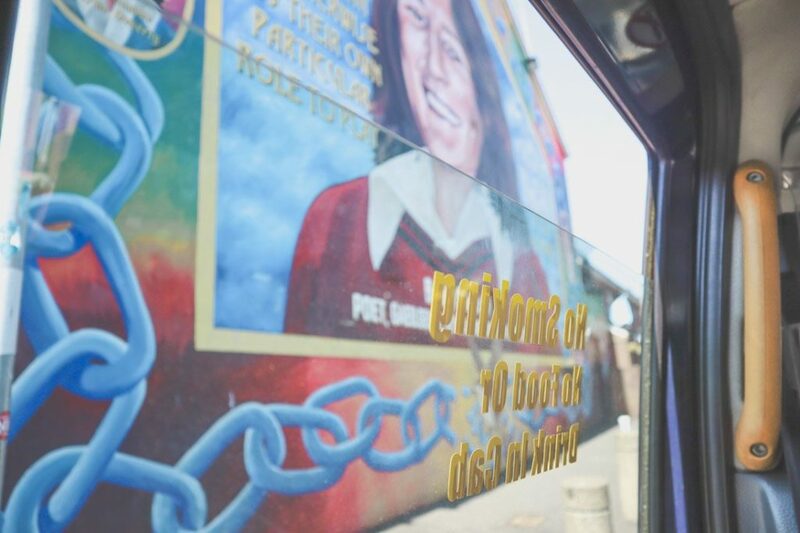 Taxi drivers take tourists around the political murals of the Catholic Nationalist neighbourhoods (linked to Republicans) and Protestant Unionists neighbourhoods (linked to Loyalists) while informing them about the Troubles which has seen sectarianism separating the city since the 60s. Over 3000 people lost their lives during this conflict, and although only a minority were fighting (while the rest of the country were ‘walking their dogs and taking the kids to school’ says Richard), everyone in Belfast was affected by the hostilities. One-third of killings took place near the victim’s home and these are some of the streets you will visit. I asked a local how she felt about strangers staring at the gable end of her home, she replied she was used to busloads of tourists snapping away on their cameras. It’s not just the murals that define the area’s identity, the Northern Irish love their flags! Expect to see Union Jacks, Ulster, English and even Scottish flags proudly pinned around houses and gardens. In 2012, a law was passed to limit the number of days the British flag is flown at Belfast City Hall. Richard joked during our GOT tour that they used to play ‘the taxi game’ when they hailed a cab. This entailed discreetly checking out the tattoos on the driver’s arm before deciding the direction of the conservation. Our Black Cab Tour guide, Billy, was completely neutral and professional. We visited murals on both sides of the temporary divide and then the peace wall to write a message (Craig left a quote from the film, ’71, but don’t expect to find it, the wall gets painted often). The previous power-sharing government have vowed to remove the wall by 2023, however, at present, there is no devolved government in Northern Ireland. Warning: the tour is rapid! Expect stories and facts at a million miles per hour through the medium of chat, poetry and song. Good guides point out restaurant and pub tips too. Thanks for the Sunflower pub tip Billy, not only is it my favourite pub in Belfast, it’s also the last caged bar in the city. Why a cage? Pubs were often a target during the Troubles. three-hour political walking tour. During the tour ex-prisoners from the nationalist and unionist neighbourhoods take you to both sides of the Peace Lines and recall their personal experiences. Definitely one of the coolest walking tours in Belfast. For 150 years Crumlin Road Gaol, ‘The Crum’, incarnated male and female (and child!) prisoners in Northern Ireland. Due to its inability to modernise in line with EU human rights laws (like the end to slopping out) it closed its doors in 1996 only to open them again to the public for guided tours. Some of those who spent time on the inside have returned to take the tour too! 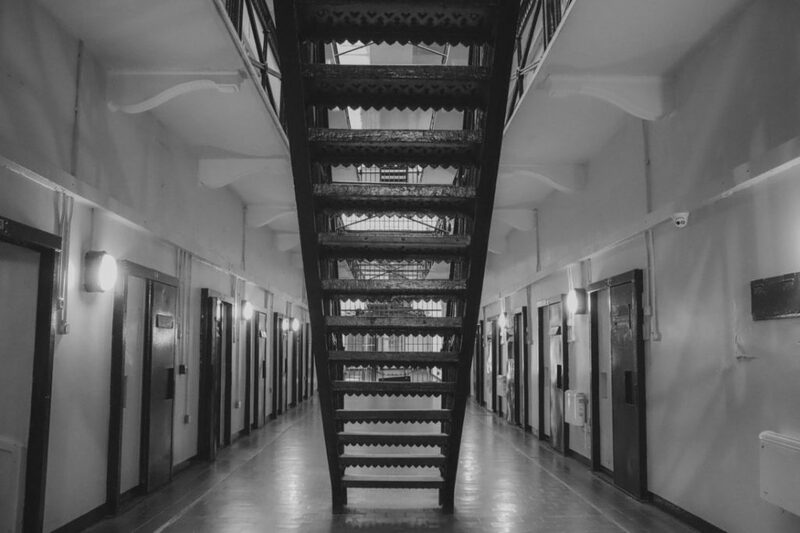 The tour discloses the escape attempts, torture routines, the Troubles 1991 bombing, paranormal activity, and the medieval practices used to punish prisoners such as flogging (whipping) with birch or glass. The most haunting room is the dead man’s cell, I won’t spoil the surprise of what’s behind the wardrobe, 17 men were executed at Crumlin Road Gaol. 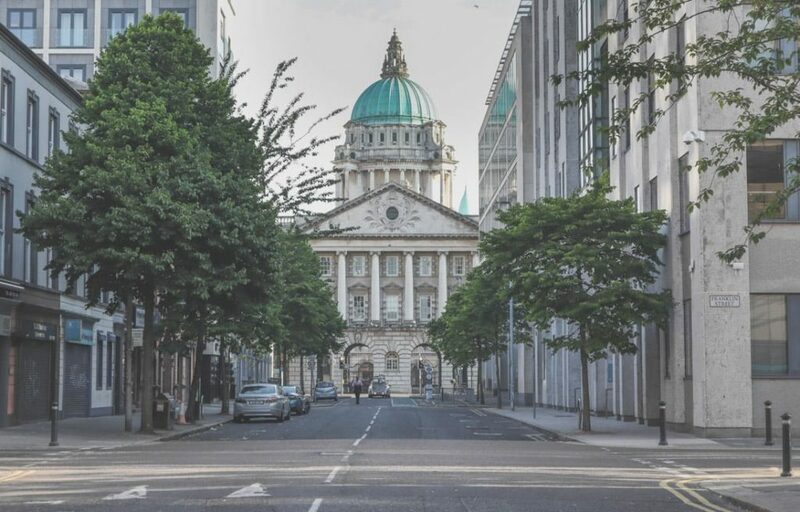 Daily, public tours of Belfast’s City Hall and once you see how grand the Neo-baroque building is (could be confused for Hungary’s Szechenyi Baths) a tour of the local council building won’t seem so strange. The free tour lasts for one hour and is hosted by an experienced tour guide. There’s one reason that everyone puts the Ulster Museum on at the top of their Belfast itinerary…the Game of Thrones tapestry! The almost 77-metre long piece of cloth tells the story from season one to seven and it is (bloody and) brilliant. By the 19th century, Belfast was the linen capital of the world and now, Game of Thrones brings in an estimated £150 million in tourism. What better way to celebrate the past with the present than to entwine the two? 30 stitchers embroidered scenes including the Red Wedding, Joffrey’s poisoning, White Walkers appearance, Cersei’s shame, Hodor holding the door all the way to Jon Snow and Daenerys Targaryen cosy family bed scene. Museum-goers are encouraged to share their photos and videos of the tapestry using the hashtag #gottapestry. 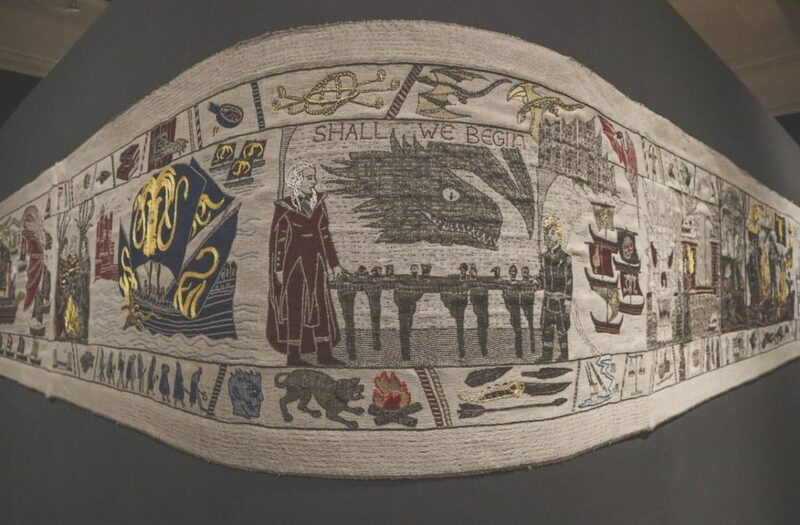 Although the GOT tapestry was the reason I went to the Ulster Museum, it was another tapestry that had me close to tears. Irene MacWilliam’s Peace Quilt (Common Loss) is made up of 3161 pieces of red cloth. Each piece represents a victim of the Troubles with teddy bears symbolising the children who lost their lives. The Troubles + Beyond exhibition displays artefacts from the sectarian conflict which includes stories of loss, anger, inquiries, nightmares, informers, boycotts, innocence and peace attempts. A great deal of organisation has been put in place in an attempt to make this exhibition balanced. The Ulster Museum is also one of Belfast’s art galleries and presents 15,000 historical and contemporary artworks. The Ulster Museum is located in the Botanic Gardens close to the hipster Botanic Avenue – a great spot for food, coffee and cool people watching. Belfast Bus Tours. The two-deck open-top bus tours around Belfast last for up to 72 hours and stops at 31 popular locations including the Titanic Quarter, Belfast Castle and political murals. The first stop is Custom House Square starting at 09:45. 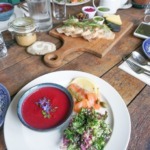 We stayed at the Clayton Hotel which was perfect location wise – ten minutes from the Cathedral Quarter, twenty minutes to the Botanic Gardens. The rooms are clean, the shower is hot, and the breakfast includes an Ulster fry up. The Clayton Hotel has the only swimming pool in the city. Global Village is one of the top-rated hostels in Belfast. It is located next to Belfast’s Botanical Gardens and visitors like its colourful decor and clean surroundings. The rooms are big, the staff are friendly, and breakfast is included. Dorm beds start at £16.50. referral link for money off, we’ll get credit too. Thanks! 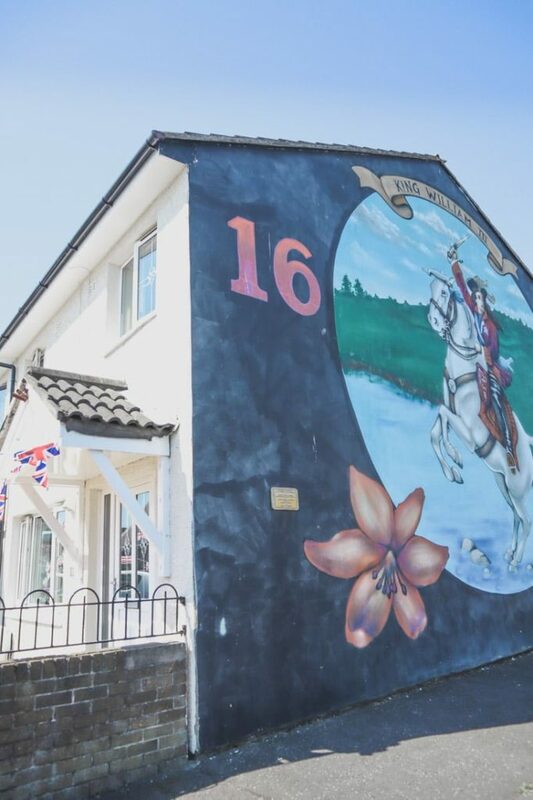 Remember, you can stay at George Best’s childhood home through Airbnb in Belfast. hydration tablets for the hangover. The Cathedral Quarter is the main hub for socialising, normally I avoid the party areas like the plague, but this spot genuinely has brilliant bars. Notable bars include the Duke of York (trinkets, interesting street art), The Spaniard (banging Saturday night 80s indie and risky décor) and the Dirty Onion (live music every hour of the day). Sunflower is about a five-minute walk from the Cathedral Quarter and worth the detour. The last caged pub in Belfast oozes cool. Lads, take a leak and come back to tell me what you see. Finally, on the way to the Botanic Gardens, pop into The Woodworkers for some craft beer in a rustic setting. For a quick burrito check out the popular Boojum (five locations). BBQ can be found at Bubbacue. For Thai, I recommend the modern Bangkok Belfast (try the Massaman curry). We attempted to book Coppi Restaurant (Italian) but it was fully booked. 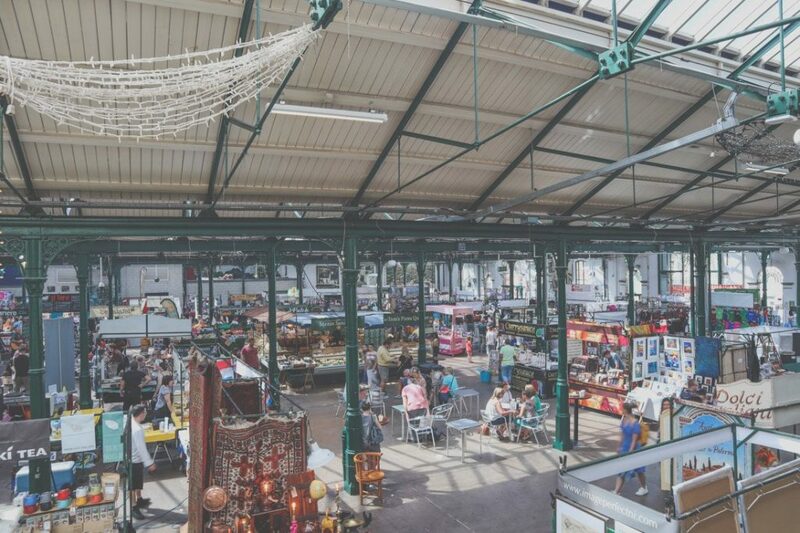 No trip to Belfast would be complete without an afternoon at St George’s Market. Craft (I got plastic free soap and toothpaste here for #goplasticfree July) and food stalls take over the warehouse building every Friday-Sunday. Food such as curries, paella, quesadilla, Irish Soda bread and cakes can be sampled while listening to live music. Sit down meals and drinks are available at the St George’s Market Bar and Grill. Thanks to Discover Northern Ireland for hosting us. This review includes our honest opinions as always. GOT tour ALL the way here Gemma! I am addicted to the show and books. Toss in the fact that tour guides are extras and bandy about salty language and it could not be a more perfect match for me. Mwahahaha! The language added to the story! 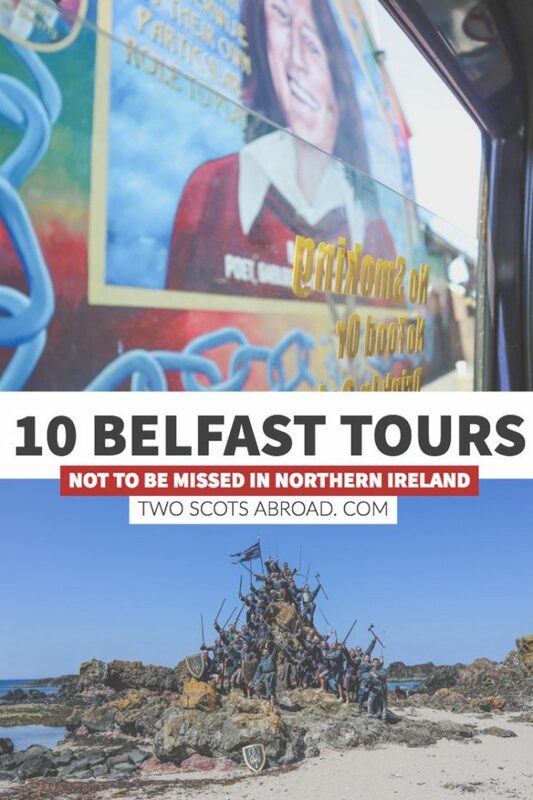 Brilliant way to see Northern Ireland’s hot spots too. I love how these tours are all so different and take you to different parts of the city/country. I’d definitely do the GOT tour and the Black Cab and Tours of the Troubles sound fascinating. Agree Rebecca, now I need to go back to do the other two! He’s a cool guy full of the stories for sure! Belfast looks like a dream! Would love to go to Ireland to visit all the historical sites and of course the GOT sites. You got to see so much and made a post with a lot of really great information. Thank you! I’ve just met the direwolves owner on Insta – I need to go back to meet them! Aw cheers Suchi, was lovely to meet you too. Good luck with your future ventures and remember to join the FB groups listed in the Make Traffic Happen guide. Interesting post, thanks! Love all the info. Great pics. I went to Galway in October, and Ireland has completely stolen my heart. I now have Cork and Belfast on my list. There are so many wee towns I want to go to as well! 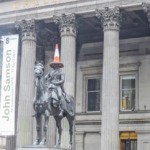 Have you been to Scotland?